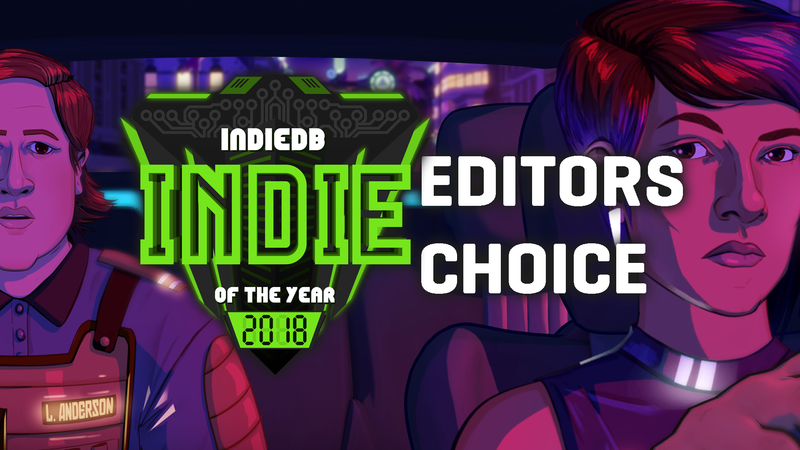 Welcome to the Editor's Choice awards for the 2018 Indie of the Year Awards, where we show recognition to the indie games from the past year that we've found to be personally deserving of attention. Book of Demons is an upcoming, deck-building hack and slash adventure, where it's the player who decides the length of quests. The game is the first installment of Return 2 Games - a series of original mid-core titles, inspired by the early golden days of PC gaming. "Dude, Stop" is a puzzle game, where the main goal is to not follow the rules and make everybody hate you. Break it, abuse it, skip the tutorial, ignore tips and tricks in the loading menu and - most importantly! - mute the narrator. Chasm is a 2D Action-RPG Platformer currently in development for Windows, Mac, & Linux. Taking equal inspiration from hack 'n slash dungeon crawlers and Metroidvania-style platformers, it will immerse you in a procedurally-generated fantasy world full of exciting treasure, deadly enemies, and abundant secrets. Pre-order now to receive exclusive bonus goodies! Both Steam and DRM-Free editions included. Come and try Synthetik: ARENA! Recap & Steam keys for Synthetik: Arena for everyone! SYNTHETIK Limited Closed Beta - Join Now! Play the SYNTHETIK Closed Beta now for a limited time only! Amazing game, a huge fan of it since the beta. Congrats, looking forward to more of it! game looks cool, added at wishlist at steam. wish you luck! there will be a last test phase (before the release on March 15) at the end of this month!